Having trouble moving spreadsheets quickly and easily into SharePoint? The out-of-the-box SharePoint function allows you to import a spreadsheet but it is a time consuming process that requires you to create a new list first. With SharePoint Boosts’ Excel Import you can quickly and easily move your spreadsheets into SharePoint. This out-of-the-box solution doesn’t require you to install anything on clients and even better, you don’t have to install Microsoft Excel to use it. 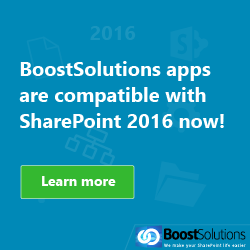 This newly released add-on from SharePoint Boost was just released and is available for a free 30 day test drive. 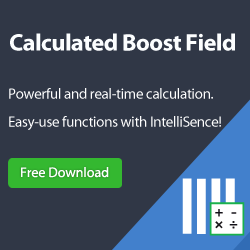 So go ahead and take it for a spin and see how it can greatly improve your efficiency in moving spreadsheets. Here are some of the great features you will find in Excel Import: Import Excel spreadsheet to any existing SharePoint list; Manually map fields; Check duplicate records when importing; Update SharePoint list using an Excel file; Support all column types in SharePoint; Support filtering the first row as field names; Support all content types in any SharePoint list; Support most popular list types, including Custom list, Calendar, Contacts list, Tasks list, etc. ; Support filtered Excel Sheet; Excellent performance; MS Office not required; Supports .xlsx (Excel 2007/2010), .xls (Excel 2003) and .csv formats; Preview Excel data in real time; and Select row range of an Excel Sheet to import. Let’s take a closer look at how easy it is to use this amazing add-on. First to import a spreadsheet, you only require two easy steps. First you navigate to any SharePoint list and choose the spreadsheet (.xlsx, .xls or .csv format) you want to upload. You then click on Import and all the date in the specific Excel Sheet will be imported immediately. 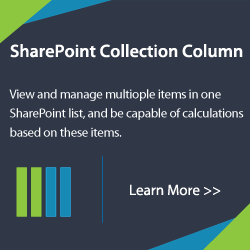 Mapping columns between SharePoint list and Excel requires even less effort. 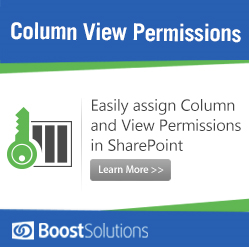 Before you import, you can select and map an Excel field to any SharePoint column. Excel Import then ensures you are able to insert the information in the right place. With Excel Import you can ensure that your records are not duplicated very easily; and if duplicates are required, they can be updated with ease. Before importing Excel spreadsheet to SharePoint you can select between two options, Skip duplicate records and Update duplicate records. This is quite useful especially if you desire to update specific records only in SharePoint or skip unnecessary records in Excel spreadsheet. You may be also asking yourself, can you update SharePoint list using an Excel file? The answer is yes. Suppose you have one list full of records and now you need to replace specific information within the data from an Excel file. You can copy and paste date from an Excel spreadsheet to SharePoint datasheet view, but this can be a very time consuming process as each record has to be checked carefully or you will lose your data. With Excel Import, data can be easily moved from an Excel spreadsheet to SharePoint with ease without having to check each record. With this feature rich tool you too can be on your way to quickly and easily importing you spreadsheets. With an online tutorial you can be on your way. So what are you waiting for? And I was just wonnreidg about that too!